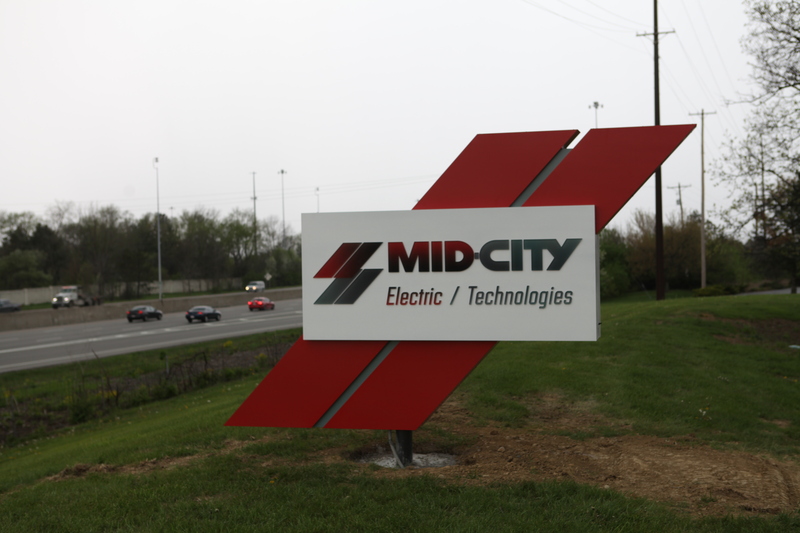 We are excited to announce that Mid-City Electric/ Technologies will be relocating to Westerville in late spring 2018. The new office location is located in the Westerville Community Reinvestment Area, and continuous company growth over the past five years has prompted this exciting transition. 937 Eastwind Drive will be home to the new offices, warehouse, and prefab facility. After renovation, this new location will provide additional office space, 47 more parking spaces, and join Mid-City’s prefab operations with the administrative building. Currently, the prefab facility is located on West Mound Street, a mile from the main office space on 1099 Sullivant Ave. Following the remodel, the Eastwind Drive location will provide employees an open concept to promote collaboration among teams and departments, an on-site gym, modern caf�?�?©, and several common areas. The new location will also decrease the commute for most employees by nearly 20 percent. The renovation process of Eastwind Drive began in October 2017, with scheduled completion in late spring of this year. Mid-City employees plan to take occupancy and move all business operations to that location at that time. This new location will allow us more room to work and grow as a team, and in turn, help us to serve our customers better, Brian Dew, Mid-City President, said. James F. Dew and Jack Kempton founded Mid-City in 1960, moving the office to its current location at 1099 Sullivant Ave. just six years later. A Columbus construction industry staple, Mid-City has been family-owned and operated from this Franklinton location ever since. June 1, 2017 marked Mid-City’s 57-year anniversary in the electrical construction industry. Some of Mid-City’s most recognizable projects include the Nationwide Children’s Hospital-Replacement Hospital, Columbus Commons Bicentennial Pavilion, and the soon-to-be complete National Veterans Memorial and Museum Project. This location has served us very well, and we are really proud of the work we have done here for the past 57 years, and to be a part of this community, Brian said. However, this change is going to help us provide for our customers better, and that is what’s most important. Check back at our website and Instagram and Facebook soon to see pictures of our new space!